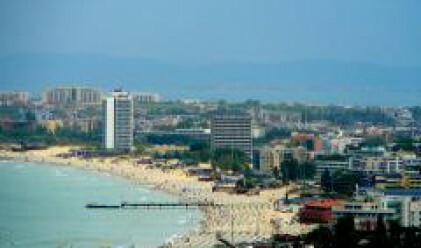 As the global credit crunch tightens, British and Irish home buyers, who drove the development of Bulgaria’s Black Sea coast, are being replaced by cash-rich Russians and Romanians, says the Financial Times. A sharp fall in demand for smaller studio and one--bedroom apartments of between 40 and 60 sq m in established resorts, has pushed down prices by between 8 and 12 per cent in the past six months, according to estate agents. Prices now range between €800 ($1,185) and €1,200 ($1,777) a sq m in new developments, depending on proximity to the beach. But rental yields are low, at about 2-3 per cent, because of a relatively short summer season and an over-supply of smaller apartments. The re-sale market is still in an early stage of development, although many speculative buyers have already “flipped” properties acquired early on. “A purchase today should be considered a medium-term investment. People selling should be prepared to settle for only a small profit,” says Mihail Chobanov, managing director of Bulgarian Properties, a Sofia-based agency. Yet the mood is still optimistic. Not only are more Russians, Poles, and Romanians expected to join the market for moderately-priced apartments, but a growing number of high-end projects are being launched in previously undeveloped areas. Land prices are soaring, especially in the “villa zone”, a 10km strip around a regional town that municipal planners allocate for suburban development. Purchases of property and land for development counted for at least 40 per cent of Bulgaria’s estimated €5bn in foreign direct investment last year. While growth is slowing, the country’s economy is still projected to expand by about 5 per cent this year and next, led by foreign investment and domestic demand. Such developments typically cover between 100,000 and 1m sq m of land within easy reach of a coastal town and within two hours’ drive of an international airport. In addition to a range of apartments and stand-alone villas, the design includes restaurants, shopping and spa facilities. Norman Foster (pictured), the UK-based architect, is designing a series of “eco-villages” on a 200-hectare coastal site north of Byala. The five villages, with accommodation for up to 15,000 people, would be built into hillsides above the sea. Yoo, the design company formed by John Hitchcox and Philippe Starck, has built a striking beach-side residential complex at Obzor. The property boom has created tens of thousands of jobs in tourism, construction and services. Varna, formerly a run-down industrial port, has become the country’s fastest-growing city with a vibrant nightlife and a separate commercial and residential property market of its own. Yet the pace of development puts a severe strain on infrastructure. Varna and Burgas airports are both being upgraded by Fraport, the German airport operator, under a concession agreement. Flights to both destinations have multiplied with the entry of low-cost carriers from the UK, Germany and Poland. However, improvements of the north-south coastal road, along with the highway to Sofia, are running behind schedule, partly because of the slow pace of disbursement of European Union structural funds. Local authorities have also been slow to build access roads, infrastructure for utilities and waste disposal for new developments. Bulgarian environmental organizations warn that the rush to build on undeveloped areas is threatening sites included in Natura 2000, the EU member-states’ network of protected areas. Unwary investors from the UK, Ireland, Belgium and India bought properties being developed in the Strandzha nature park south of Burgas without an environmental impact study and in violation of local water and building regulations. The project’s future is uncertain following a court order halting construction. In response, local authorities have tried to exclude the resort from the area designated as protected – a move that could lead to penalties being imposed by the European Commission. Recent protests have focused on Irakli, part of the Emine Natura 2000 park, where land is being cleared for construction in spite of a decision to suspend development of a resort complex.